Today, Sunday, was filled with a lot of fun work. I awoke before dawn and drove to the Farmington River. It was challenging. 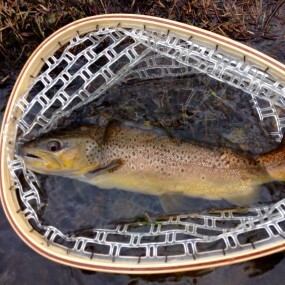 The water is cold and the trout are savvy this time of year. But, it all worked out: a 19″ brute of a brown trout. Photos up top. And, an even bigger fish lost after a savage back-and-forth battle, as my line snapped. Video below (or, click here). Your VC Isn’t Enthusiastic. What to Do? 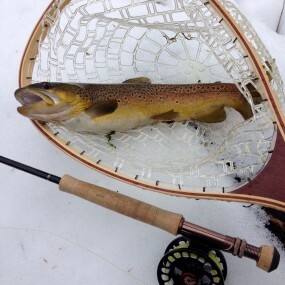 Trout are savvy all year round. Very nice catch!! Apparently that Brownie was not beware of the Flies of March. Great pun! Forgot it was the Ides of March.